Cyient Inc. (formerly Infotech Enterprises) is focused on engineering, manufacturing, data analytics, and networks & operations. Infotech Enterprises Ltd. was established in 1991 in Hyderabad, India. 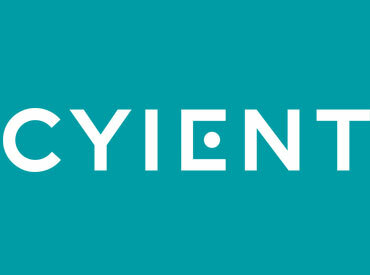 Infotech Enterprises rebranded as Cyient in 2014. It had 15,000+ employees across 21 global locations as of March 2018. The company featured among the top 30 outsourcing companies in the world as of 2018. In this method of share Buyback, the company will be purchasing stocks from existing shareholders of the company directly from the market. Example: “Cyient Limited ” announces buyback plan of its shares up to value of Rs 700, it means that the company will be purchasing shares of "Cyient Limited" from the open market at a price not exceeding Rs.750 per share. Scenario 1- If the share price is below Rs. 700 in that case, the company will put buy order at Current Market Price and purchase shares. Scenario 2- If the share price is above Rs. 700, in that case, the company will put buy order at Rs. 700 only and if someone is ready to sell at Rs.700 or less then only company will get back shares. Selling in Cyient tech. People bought because of Buyback but as the company didn’t announce yesterday most are selling. Even if the company comes up with a Buyback , they have Reserve and Surplus of only 2005 Cr and Cash in hand of 700 Cr. So Do not expect it to be a very big buyback. How badly do you think it will affect the stock in short term? Your advice on what to do tomorrow.. hold or sell? I bought some 60 shares at Rs. 600. Kudos for your continuous support! Great work. Wow..This is new people just considering buyback and deferring it. Even Monte Carlo and Responsive did something similar. Quick question on Linde India. Delister offer is going on. What price is best for submitting the form? hows the company? what is their history?